Traveloscopy Travelblog: Struth! 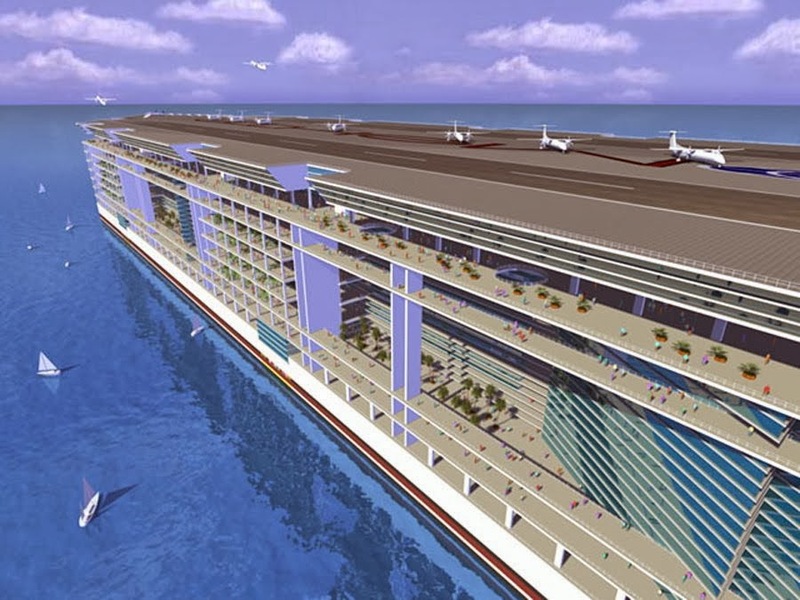 Plans floated for 50,000 passenger "ship" Struth! Plans floated for 50,000 passenger "ship"
IN his continuing search for the more weird, wacky and wondrous in the world of travel, David Ellis says designers in America are working on plans for a "ship" that would be 1.3km long (0.8 miles,) carry 50,000 permanent-residential guests, have its own shopping mall with Westfield-style department stores, and a range of duty-free emporiums. 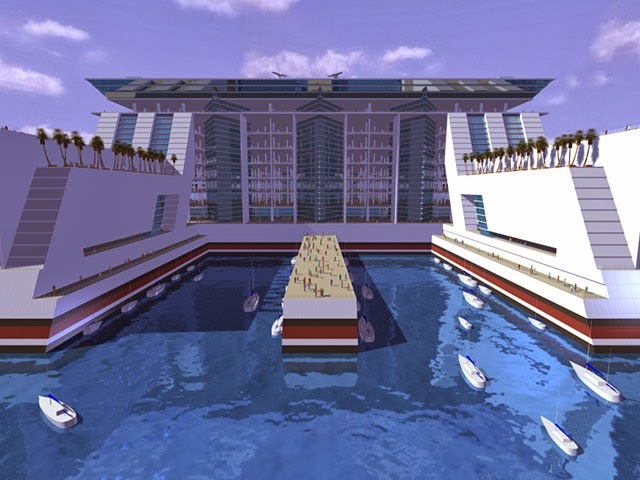 On its "roof" would be an airport with a fleet of 40-passenger aircraft to get passengers speedily ashore, and down below, a marina with hydrofoils to do so more leisurely. And while referred to as "Freedom Ship International" they say that in fact it will be more a floating mini-metropolis on which residents will live, work, play, retire-to or holiday on as Freedom Ship International forever cruises the major oceans of the world. It would be over four times the length of the world's current largest ship, the 225,000 tonne, 360m long Allure of the Seas that can carry 5,400 passengers, and as it would be too large to berth at most places in the world, it would anchor off-shore and send guests ashore by those planes and hydrofoils. 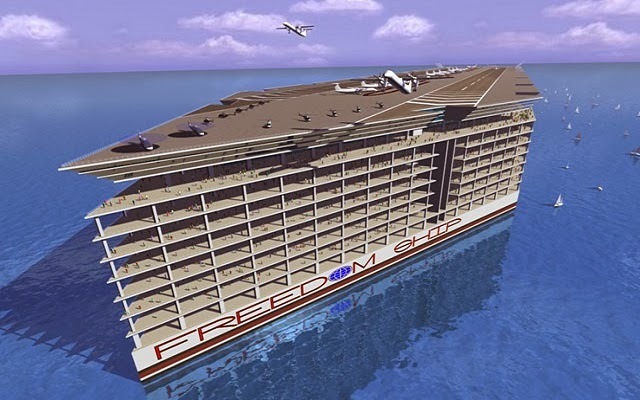 Freedom's superstructure would rise 25-storeys above her main deck, her residential "neighbourhoods" having 18,000 permanent apartments, 2,400 time-share apartments, hotels with 10,000 rooms and suites, schools, a hospital, professional suites for doctors, dentists, attorneys and others, that shopping mall, and banks, restaurants, theatres, sporting fields, casinos and rentable office space. And if you look at our Image, it won't even look like a ship – as it is, more like a floating apartment block 1.3km long with a rooftop airport.